Postaday 2014 | Did Jesus have a Facebook Page? “Lying means never having to say you’re Sorry?” yeah, right. IRS Commissioner John Koskinen responded to Paul Ryan’s explosive testimony of the lies surrounding the lost emails of Lois Lerner. The head of the agency also had no feelings of remorse as far as the detailed targeting of Conservative taxpayers embedded in the crash of technology. Further investigation into my own dealings this past week with the IRS my accountant called me yesterday. His findings concerning the letter I received informing us we owed $534.29 more in taxes. The IRS or the NC Dept. of Revenue could not locate 2 other payments I made of estimated taxes for the year 2013. In other words, I pay estimated taxes each year on money I don’t have yet. The IRS in NC billed me for $534.29 with accrued interest for late payments on money I really don’t have to pay upfront. That’s right. Estimated taxes are a choice for the taxpayer; not a tool for the IRS to use as a debt to pay with interest added into the amount! My accountant explained the NC Dept. of Revenue could not account for over $1000 of estimated taxes I paid last year! They are too busy! 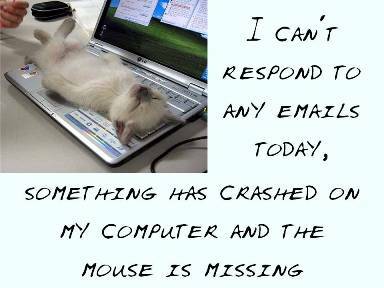 Overworked and incompetent? Reiterating the accountants news they spend more time correcting mistakes of the IRS than they do for their clients it was evident of his frustration. Researching our account to find the 4 checks I sent to the NC Dept. of Revenue last year was time wasted when I needed to be doing important work. Once discovered, the accountant had to write a letter with copies of the cleared expenses to clarify all of the funds had been paid. Forget these taxes are not required to be paid up front. 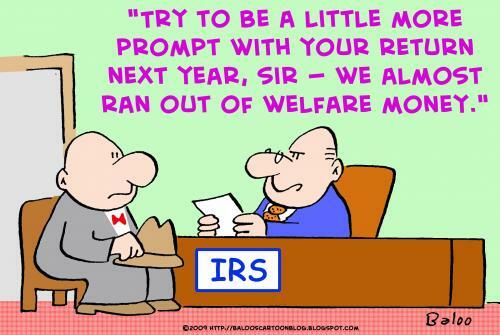 Forget the fact the IRS is inept and incapable of performing the tasks we pay them to do. Forget the fact the IRS is costing taxpayers extra in charges with their unskilled, uncaring and criminal behavior. Seriously; I am re-thinking ever paying estimated taxes again no matter what I owe by April 15th of every year. And…..there is no apology here. Categories: Blog posts, Christianity | Tags: Bible, Blogging, Business, Christianity, Culture, Economy, Education, Faith, Family, Friends, God, History, Holy Spirit, Home, IRS, Jesus, Life, Love, People, Personal, Philosophy, Politics, Postaday 2014, Relationships, Religion and Spirituality, Taxes, Technology, United States, Work, Writing | Permalink. Conveniently the IRS has lost 2 years of Lois Lerner’s emails. Not her personal mail, but the IRS communications between her, others in her office and the White House. Hmmmm….a little fishy maybe? Like many, I’m not buying it. I crashed 3 laptops in 2013 and lost virtually nothing. Clouds/storage space hold everything even if you don’t want it to. Who knows how many computer hackers/geeks her office used to lose, throw away or expose into infinite cyber space all those emails? I wonder. Interestingly this past Saturday we received a letter from the IRS informing me and my husband we owed $534.29 more than what we have already doled out. 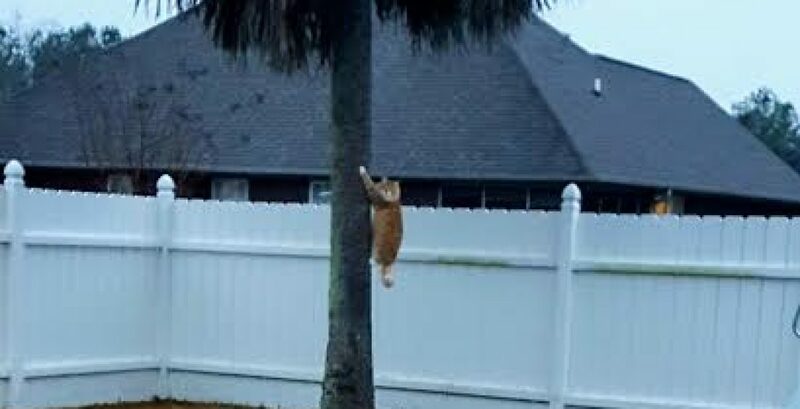 That included interest accrued from something….I know not what. In fact it appeared to be a copy of a page out of our returns done by our accountant. After the shock wore off I sat down trying to digest what she had told me. So what is the point in paying anything? America appears to be on the brink of destruction along with the rest of the world. This arrived of our own doing; the default of not showing up to do God’s work as he sees fit. Certainly it has been tried and tested. The Church with all its goodness has left out of the limelight some of what is most important to God. Miracles, Signs and Wonders walked out the back door many years ago replacing those major assets with converts instead of disciples. This enigma created a hole in the heart of America and that hole is now much larger filled with evil. 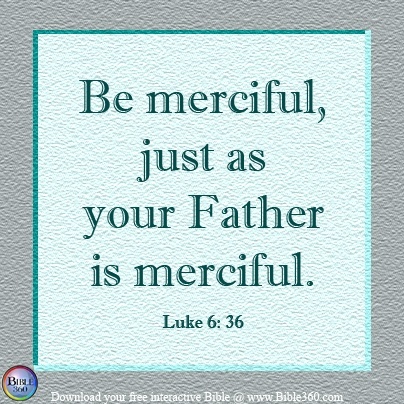 I am reminded of Abraham when Jesus and 2 angels visited him. Sodom and Gomorrah existed as a perverse, immoral and degenerate society. This is an example of what happens when people turn away from God. As the story goes, Abraham pleads with God to save the cities if there were 50 righteous people there. His determination ends in asking God’s mercy if 10 were found. Why do you think this conversation occurred at all? Why did God want Abraham in on his plan? America needs “Abraham’s” to step up to the plate of intervention with God. Instead of focusing on judgment why not seek to speak Godly influence, peace, joy and love to our neighbors, friends and family to bring repentance upon America? Why not ask God for mercy for this nation just as Abraham did? God is interested more in obedience than sacrifice. He needs righteous minded individuals alive and well to spread his word to the lost. God didn’t go to the trouble of creating earth to destroy it. He created the earth to save us. Categories: Blog posts, Christianity | Tags: Bible, Blogging, Christianity, Culture, Economy, Education, Faith, Family, Friends, God, History, Holy Spirit, Home, Humor, Inspiration, Jesus, Life, Love, Media, Mental Health, People, Personal, Philosophy, Politics, Postaday 2014, Relationships, Religion and Spirituality, United States, Work, Writing | Permalink. There is too much stuff going on. I find myself lately just trying to keep up. And my small life is just that compared to the world’s horrific stage. 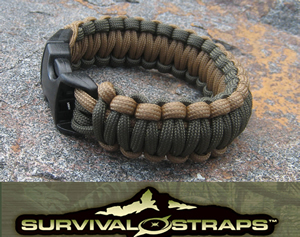 Coming across a website on Facebook called “Survival Straps” I was intrigued with their products and mission. Paracord bracelets are made in the USA and a percentage of the sales goes to aid our military. The bracelets can actually deploy. I ordered 2 myself not only to support our neighbors and friends here but to remind myself of the past survivor-ship in my own life. Survival to some extent is related to hope. It comes with a desire to look forward, keep moving and overcoming whatever is thrown our way. And much debris is flying. The appearance of evil, sinister acts and obvious assaults on mankind have escalated to maximum proportions. I don’t believe the world has ever been as sick minded and decrepit as it is in this present age. We have to literally search through the debris to find any morsel of light, goodness or peace. Getting past the stage of just being a “survivor” is no easy task, but very possible when you follow Jesus. And remaining in “survival” mode isn’t God’s will for his people. He has and wants to bring us up and over the mountains into his Promised Land. What moves us past just getting through the days? How do we shuffle our feet to walk through surviving to become a fighter in God’s army? What does it take to face evil head-on stopping it in its own tracks of destruction? The wisdom and knowledge of God. Understanding his ways; discerning his plans and purposes. Knowing without a doubt his faithfulness is supreme in keeping his promises. Realizing the enemy is a defeated foe. The saying “things get worse before they get better” may be especially true today which gives good reason to get to know God deeply. As we observe the falling apart of the world as we know it, grasping the Father’s position is paramount in comprehending how to deal with it all. Don’t allow the enemy to bring in distractions. He is working overtime. Know the turbulence, jolts and rattling are the storms before the calm of Jesus. He is peace and comfort standing in the midst of pain and agony. Jesus is the rock about to crush the works of evil in front of evil itself. God’s doors are ready to fly open with “visions” of hope and answers to those visions. Categories: Blog posts, Christianity | Tags: Bible, Blogging, Christianity, Culture, Education, Faith, Family, Friends, God, History, Holy Spirit, Home, Inspiration, Jesus, Life, Love, People, Personal, Philosophy, Postaday 2014, Questions, Relationships, Religion and Spirituality, Rock, Survival Straps, Trash, United States, Work, World, Writing | Permalink. Playing with Fire: What is a Soldier? As I sit and listen to the Secretary of Defense make his case for a trade of a military deserter with terrorists, it is a relief to know who the Father of Justice is. Should this question have been an assumed notion? Obviously not or this trade for Bowe Bergdahl would not have occurred. The reason the White House never consulted Congress before this trade was finalized is because it would not have passed a majority vote. Never mind the members of his military platoon who were there and the testimony they have given; Sec. Hagel all but called them liars yet he wasn’t there when Bowe decided to leave. He wasn’t present when Bergdahl’s co-workers went looking for him and 8 died doing so. And why was Bowe Bergdahl captured by the Taliban and held prisoner for 5 years? Facts just don’t add up. We have a VA Hospital scandal of maximum proportion where who knows how many of our veterans died at the hands of evil people who declared to be God themselves. We have yet to find out why 4 men were killed in a raid in Benghazi that should never have happened. We have a Commander in Chief who has cut salaries, benefits and more jobs in the military while the world becomes more dangerous, belligerent and unsafe to live in. Recently I was made aware of 50 contract jobs of employees at our base here who some have worked for years that are on the chopping block. Yet we pay welfare/food stamps/Obamacare for people who don’t work but can. We have hundreds of children being dumped in Arizona by a President who is using revenge against Governor Brewer in conditions unfit for animals. The list of ill-fated decisions from the Obama Administration goes on and on. Pandemonium in the White House. The argument is we don’t leave a soldier behind no matter whether they desert or not. And do we trade them for known terrorists during wartime? We are in a war(s) aren’t we? So what determines a soldier? Those who wear uniforms and fight for the freedoms of their own. Those who don’t wear uniforms and fight for the freedoms of their own. 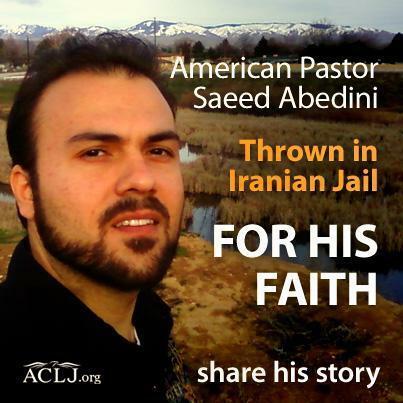 Why aren’t we fighting to release Pastor Saeed who has been in an Iranian prison for over 2 years who has been beaten over and over? Why aren’t we fighting to release prisoners held in North Korea who are being held for “Acts of Treason” against the government there? Why aren’t we fighting to release a marine held in a Mexican prison? Why aren’t we fighting FOR our armed services at home and deployed instead of treating them like traitors? Why aren’t we fighting for our Veterans on our own soil? Aren’t these men and women also our own? Categories: Blog posts, Christianity | Tags: Bible, Blogging, Business, Christianity, Culture, Education, Faith, Family, Friends, God, Health, History, Holy Spirit, Home, Inspiration, Jesus, Life, Love, Media, Mental Health, Politics, Postaday 2014, Questions, Relationships, Religion and Spirituality, Television, United States, United States Military, Writing | Permalink. God continues to wake me up to Obadiah. Just when I think he has told me everything to know about these 21 verses he comes up with more information! Now after spending hours reading and praying over this little book, I have come to enjoy whoever this prophet was without knowing much about him. He was a man of few words that spoke the truth emphatically. Obadiah was prophesying the coming of the Savior. Jesus is the “ambassador” who has already defeated “Edom” or the enemy himself. The Edomite’s from Esau down hated Jacob’s family and fought for generations to stop them from getting to land God had given them. Cutting them off after they left Egypt, the Israelites had to go around the mountains of Edom instead of going through it. The Edomite’s were known for their self-sufficiency; their smug arrogant conceit. Believing no one could stop them or destroy them, they had no gods. In their overconfident minds they needed no gods or were the equivalent themselves. As you can read, God has no mercy for such thinking. Obadiah is a written promise of the ultimate battle against Satan. He will be as the Edomite’s were; and are no more. It is noted that the descendants of Esau ended by the year 70 A.D. Beyond the prophecy of the end time is the replication God infuses to those who do not follow him. Take it as a warning, a red flag of truth and get right with God. He is not fooling around here; he wants people to come to Jesus before it is too late. Making it clear that God has no clemency for the enemy, he does insert a last note of compassion for anyone who wishes to escape the horrors of “hell.” Verse 17 he announces deliverance for those who flee to the house of Jacob. 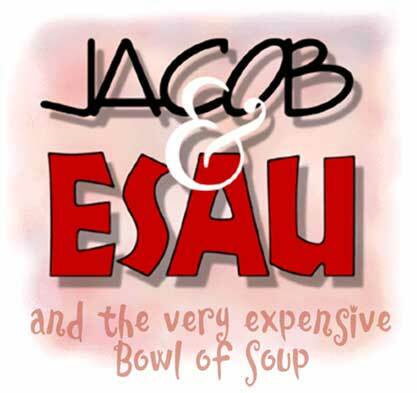 The question remains; are you living in Esau or Jacob’s house? Categories: Blog posts, Christianity | Tags: America, Battle, Bible, Blogging, Christianity, Culture, Edom, Education, Faith, Family, God, History, Holy Spirit, Home, Inspiration, Jesus, Life, Love, Obadiah, People, Postaday 2014, Relationships, Religion and Spirituality, United States, Writing | Permalink. It is much easier to do something than to trust in God. Categories: Blog posts, Christianity | Tags: Bible, Blogging, Books, Christianity, Culture, Education, Faith, Family, Friends, God, Holy Spirit, Home, Inspiration, Jesus, Life, Love, People, Personal, Philosophy, Postaday 2014, Quote, United States, Writing | Permalink. As I wrote in my last post Obadiah is not a book of the Bible I have ever had any interest in reading. Having no reason to do so God continues to give me the “word” every morning as soon as I open my Bible. As of today this has occurred 6 mornings in a row. Literally God has led me on a “journey” of the words of the Prophet Obadiah. Little is known about him except for this short book of 21 verses. Questions of his life on earth range from 800-500 B.C. 2) The attack on Jerusalem by the Babylonians between 605-586 B.C. Either time-frame has been debated from Biblical scholars to religious educators. The core element of his prophecy is the destruction of Edom by God as a result of their hatred and dissension toward the Israelites. Biblical maps reveal the boundaries of Edom below Israel to the southeast. Today it is considered a part of Jordan although you wouldn’t want to go there. Considered to be one of the worst places on earth the land is nothing but blatant wasteland and desert. It has been described as a daunting desolation; a barren emptiness as if human life never existed there. The story of Edom dates back to Jacob and Esau. Edom is named after Esau; the land he lived in after he and his brother parted ways. If you are like me, some of these brothers in the Bible caused an awful lot of trouble for the rest of us and I would like it to stop. The birthright dispute between the two of them led to years of no communication. It wasn’t like they had cell phones or email to contact each other. When the two finally did connect, it didn’t end well. Esau was resentful and bitter towards Jacob over the lie he used to receive the blessing of their father, Isaac. He never forgave him or their mother for what he considered to be a grave betrayal. The truth of the story is that Esau gave up his birthright for food his brother had cooked. Obadiah relentlessly speaks of God’s displeasure with the Edomites. The insufferable precedence Esau set for the generations that came after him toward the Israelites ultimately became God’s wrath against them. Wrapped up in that one verse are descriptions God gives through Obadiah of what would become of Edom and its people. God makes it clear no one will ever get away with messing with Israel. Obadiah gives verbal understanding to the behavior, actions and treatment of others with the results of generational curses. Our lives affect those around us and those that come after us. How does Obadiah’s prophecy relate to modern day and the future? Categories: Blog posts, Christianity | Tags: Bible, Biblical Scholars, Blogging, Christianity, Culture, Edom, Education, Esau, Faith, Family, God, History, Holy Spirit, Home, Humor, Inspiration, Jesus, Life, Love, maps, Obadiah, People, Personal, Philosophy, Politics, Postaday 2014, Prophets, Questions, Relationships, Religion and Spirituality, Writing | Permalink.